The preliminary estimate of Q2 Gross Domestic Product (GDP) growth showed that the economy only grew 1.2% last quarter versus the 2.6% growth expected. Investors were understandably disappointed as they had hoped for a resurgence after a slow first quarter, but professional economists were surprised as well. The New York Fed had forecasted GDP growth of 2.1% and the Atlanta Fed had predicted 2.3% growth. Why the shock? 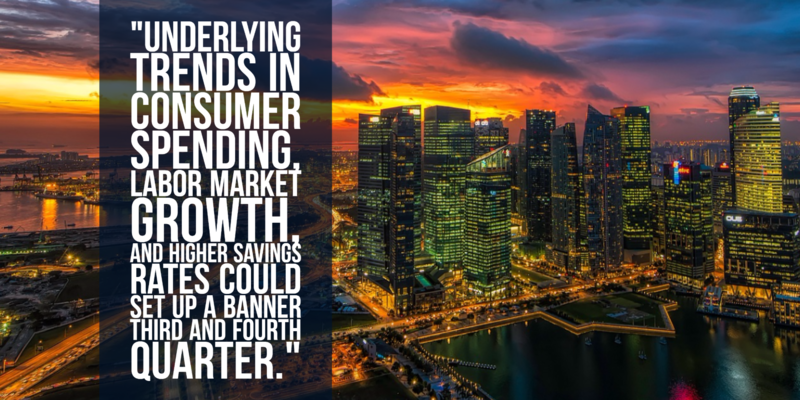 So, though the headline number wasn’t thrilling, the underlying trends in consumer spending, labor market growth, and higher savings rates could set up a banner third and fourth quarter. During last week’s Federal Open Market Committee meeting, the Federal Reserve’s monetary policy makers voted to hold rates steady, which was not a surprise. Citing recent economic data, the central bank said that “near-term risks to the economic outlook have diminished,” setting the stage for the next rate hike. Will rates increase in September? December? Or will the Fed wait until 2017? We don’t know. Wall Street bets on future rate hikes suggest that most traders don’t think the Fed will move until December if they don’t wait until 2017. The good new is the Fed seems confident enough in economic growth to cut back on stimulus. On the other hand, speculation around the timing of future rate hikes will continue to be a major market theme this year and may stoke additional volatility. This week, investors will be watching Friday’s July labor market release and digesting more corporate earnings reports. We look forward to keeping you informed. Second-quarter earnings season is in full swing, and the picture thus far shows slight but present growth in revenues; however, there are encouraging signs that could presage even better performance in the months to come. As of Friday, we have data from 126 S&P 500 companies, accounting for almost one-third of the index’s total capitalization. Overall Q2 earnings for these companies are down 1.1% from the second quarter of last year on 2.6% lower revenues. On the positive side, over 70% have managed to beat earnings estimates, indicating that managers did a good job of realistically predicting their performance levels as well as revealing pleasant surprises for their investors. In additon, there are plenty of revenue surprises from firms that saw more demand than expected. The long-term picture for U.S. firms appears to be improving. Revenue growth is tracking above what we saw from this same group in the first quarter. That’s a good sign that demand is better than it was earlier this year. In the week ahead, all eyes will turn to the Federal Reserve’s Open Market Committee Meeting to see what guidance the central bank will issue. Though virtually no one on Wall Street expects the Fed to raise interest rates at this meeting, many analysts believe strong domestic data will give the Fed the confidence it needs to raise rates before the end of the year. Traders will be watching closely to see whether the Fed strengthens the language in its statement to prepare markets for a future hike. The week ahead is also a decisive one for earnings, with nearly 1,000 companies reporting, including 189 S&P 500 firms. June housing starts rise. Groundbreaking activity on new homes rose 4.8% last month, beating expectations. However, revised May numbers suggest the housing sector isn’t picking up speed. Despite the upbeat data, global violence has created some uncertainty for investors. On Thursday, a terrorist drove through hundreds of people in Nice, France, killing at least 84. A thwarted coup by Turkey’s military on Friday resulted in hundreds of deaths and could lead to political instability after the president rounded up thousands of suspected plotters. Just yesterday, three police officers were killed in Baton Rouge, Louisiana. Our thoughts and prayers are with the victims’ families in these tragedies. One of the goals of terrorism is to cause financial damage as its effect on markets and economies are measurable; however, the human cost of violence is incalculable and its effects will be felt for many years to come. During these tough times, it is our responsibility to analyze the economic impact of terror so that we and our clients are informed to invest wisely. The effect of terrorism on global financial markets is usually limited. Some estimates show that 9/11, the largest terrorist attack on U.S. soil, reduced U.S. economic growth by half a percentage point. 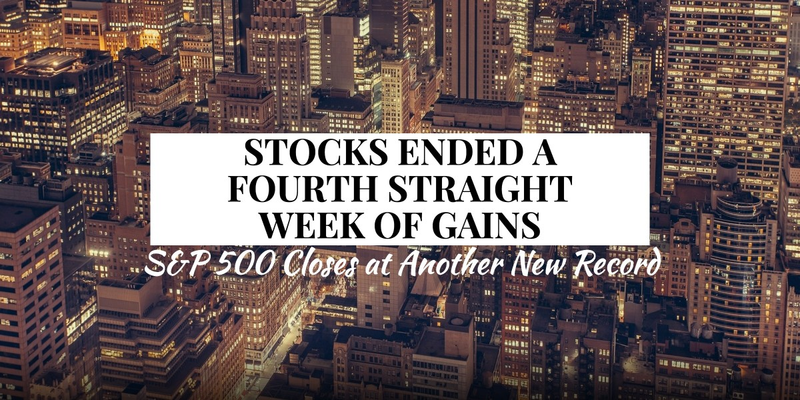 However, the S&P 500 regained its lost ground within a month. When terrorists attacked the London tube in 2005, the UK market fell sharply. It recovered within days and the British economy actually rose 0.8% that quarter. Tourist locations often suffer more from terrorist attacks because they depend on visitors who may choose to visit destinations with safer recent histories. With markets at record highs, it’s possible that we could see a pullback as investors sell first and ask questions later. However, the rally is broad-based and is built on solid fundamentals: June hiring data was strong, retail sales are sharply up, and early reads on corporate profits are favorable. Our hearts go out to the victims of violence in Baton Rouge, Nice, and Istanbul. 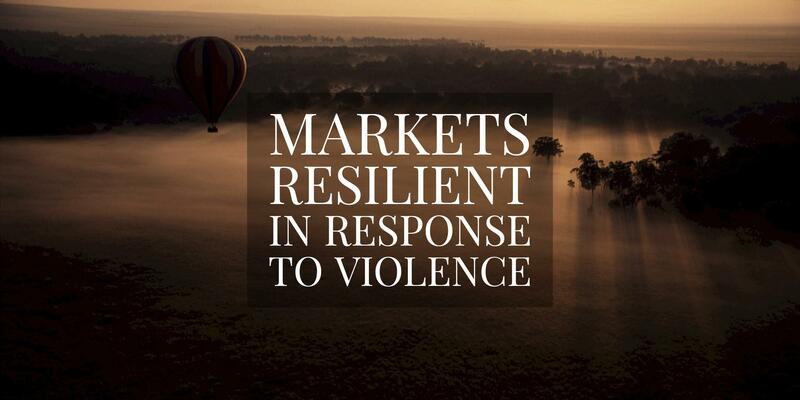 We don’t know whether markets will react negatively to renewed security fears, as history indicates that markets are resilient to violence. However, past performance is no guarantee for future results. Though we don’t believe that individual attacks are enough to push us into a correction, the headline risk from developing security situations is real. As markets reached new highs last week, we should expect continued volatility in the weeks to come. 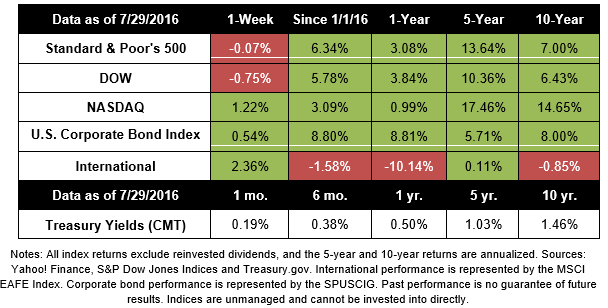 While domestic data is positive, there are plenty of headwinds to give investors pause. Keeping an even keel during both the highs and lows is key to successful long-term investing. As always, we’ll keep you updated. Beige book shows U.S. economic growth is moderate. A report issued by the Federal Reserve shows that the economy grew “moderately” in most districts though inflation remains muted. 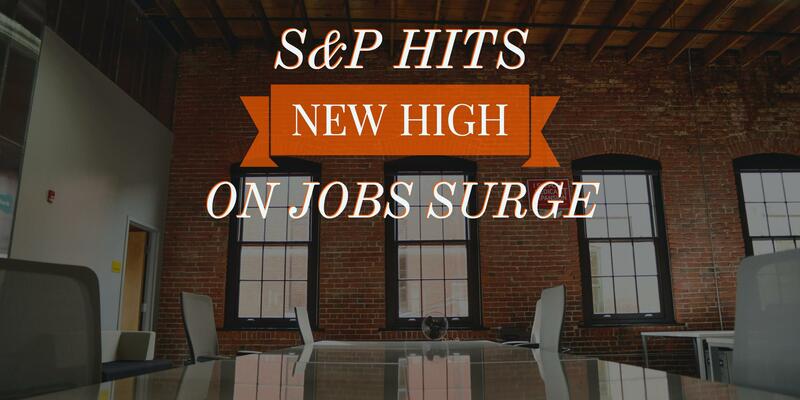 Stocks surged after Friday’s better-than-expected June jobs report. The S&P 500 closed Friday less than a point from its record closing high of 2,130.82 reached in May 2015. Last spring was the only time the index had ever closed above 2,130… until now. Today, the rally continued as the S&P 500 set a record intraday high of 2,143.13, topping its previous all-time high by nearly 10 points. Closing above its May 2015 record at 2,137.16, the S&P 500 confirms the second-longest bull market in its history. In addition, the NASDAQ crossed 5,000 for the first time in 2016. Despite global worries, we’re happy to see that investors are responding to success stories at home. 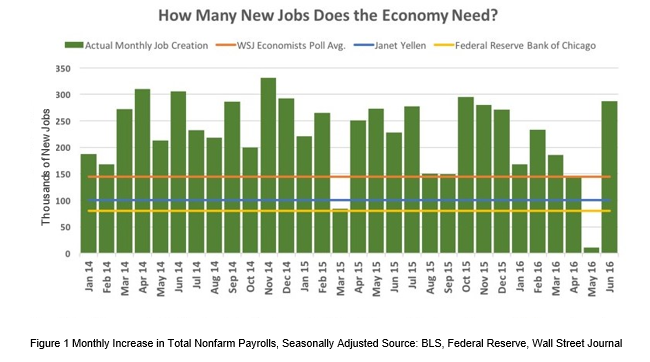 After April and May jobs reports introduced worries of a labor market slowdown, the June report showed that the economy added 287,000 new jobs last month. Since expectations called for around 165,000 jobs, investors counted the report as a solid win for the economy. How many jobs does the economy need to support sustainable growth? According to a survey of Wall Street Journal economists, the break-even number for sustainable labor growth could be an average of 145,000 new jobs per month. Fewer new jobs, and the economy won’t be able to keep up with population changes as older workers retire and young adults join the workforce. Even better, average hourly earnings rose 2.6% over June 2016, indicating that the labor market is tightening and employers are raising wages to compensate. Since economists had been worrying about the stagnant pace of wage growth, the June data is encouraging. After June’s strong job report, it’s clear investors are feeling pretty good about the U.S. economy. 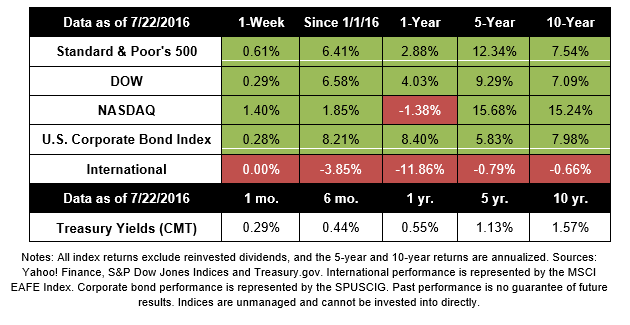 The market has overcome many obstacles in 2016, and this record-breaking day for the S&P 500 reinforces our philosophy as long-term investors. While a healthy labor market supports continued economic growth and market upside, we expect additional volatility in the weeks to come. We still face a turbulent presidential election, corporate earnings season, Britain’s EU exit, and other market headwinds. Enjoy the rally and stay focused on your goals as we continue to pursue our goal of protecting and increasing your wealth. Service sector expands to seven-month high. An indicator measure service sector activity—a component of the economy that accounts for 80% of economic growth—rose in June, suggesting continued strength. Despite a growing economy and strong labor market, Americans didn’t shop as much as retailers expected last quarter, leaving some puzzled over the disconnect. Many retail giants posted dismal earning results for the first quarter. Among the problems: same-store sale declines, falling traffic, and an inability to predict apparel trends. Even industry insiders aren’t sure what’s going on, and some say that the retail doldrums are bringing back memories of the last recession. However, economists may have some answers. Though consumers are doing much better than they did in the immediate post-recession recovery, some worry lingers, causing people to save more instead of spending. As the cost of housing and healthcare has increased, many Americans also don’t have as much discretionary money to spend. The good news is that Americans are still spending—just not the same way they did in the past. An increasing number—particularly Millennials—prefer to spend what they have on things like services, dining out, and concerts. 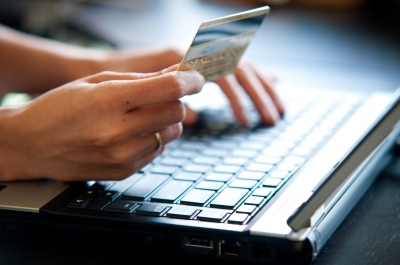 Americans are shifting to online spending, which hurts brick-and-mortar retailers that rely on foot traffic. While Commerce data shows that overall retail sales grew 3.0% since last April, the category that includes online retailers and shopping apps grew 10.2%. So, does the fact that retailers had a bad quarter indicate we’re in a recession? Not really. Americans are spending money; they’re just changing where and how they spend, and the retail industry needs to adapt to those changing preferences. Looking ahead, we have some housing and manufacturing data coming out this week as well as minutes from the last Federal Reserve Open Market Committee meeting. While analysts aren’t expecting major revelations from the meeting notes, they’re hoping for more guidance on when to expect another interest rate increase. While an April survey of economists showed that 75.0% expected a June rate hike, the May survey shows that expectations have split, with 31.4% forecasting a June increase and 31.4% targeting a September increase.